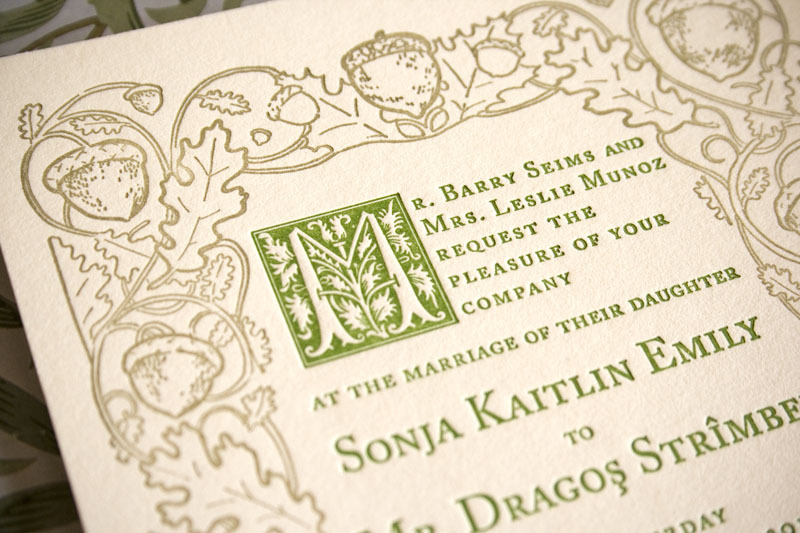 This reprinted Acorns design marks the only English/Romanian invitation we have ever done. 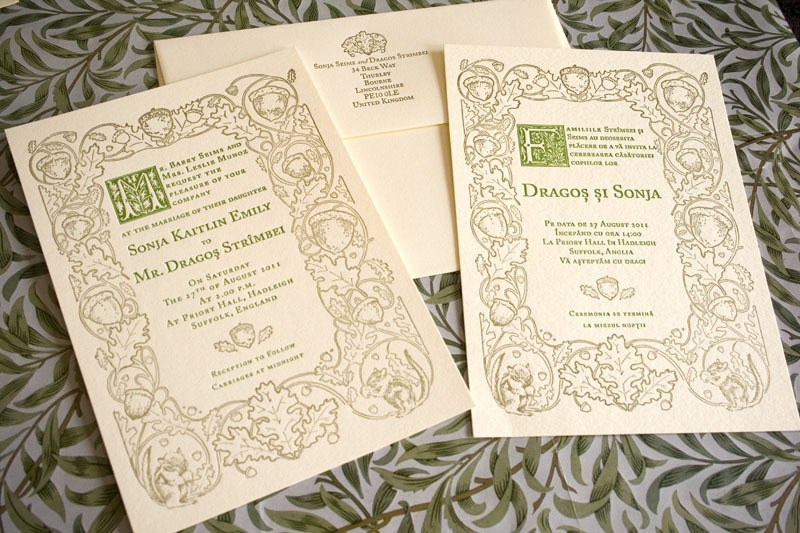 This design was reprinted in metallic gold and hunter green for the very international wedding of Sonja and Dragos. 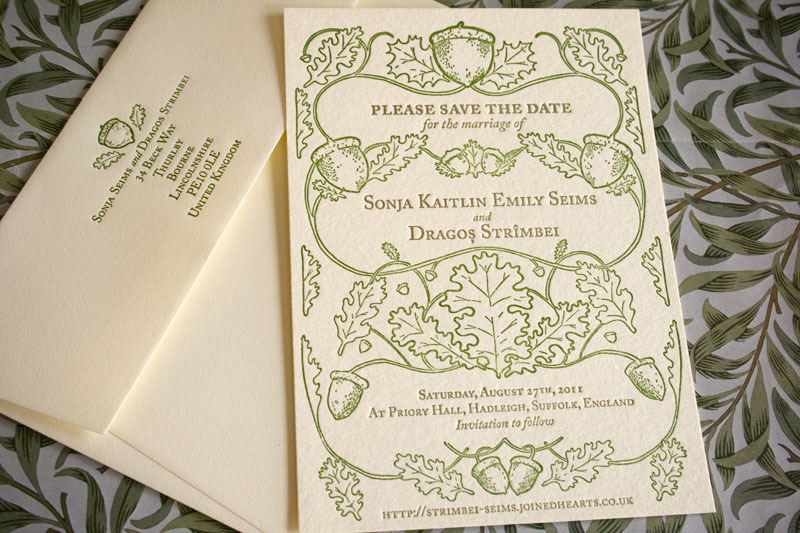 It was interesting laying out the text for these invitations. We had to download the Romanian keyboard to plug in the info for the Romanian invitation and choose a font that supported the dialectics, so we went with Adobe Caslon Pro, a timeless choice (Caslon is the oldest typeface still around, actually). One thing we discovered and subsequently totally loved, was the inclusion of the phrase “Carriages at midnight” at the very end of the English invitation. Having never encountered this phrase on an invitation, we did a bit of googling and discovered that it’s a British way of informing guests when the reception will end. It has roots in the 18th century, when it was necessary for aristocrats to know when a ball or event ended so they could inform their coachmen and have their carriages brought around on time. How very elegant! Thank you Sonja and Dragos, we hope you have a wonderful day! 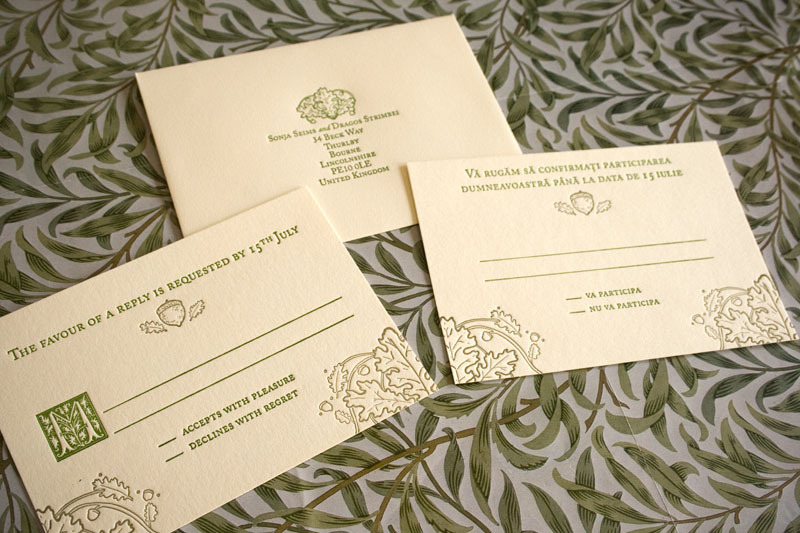 Acorns design, printed on 300 gsm Crane Lettra, ecru white, in metallic gold and hunter green. This week’s Cuts & Caps is a beautiful engraving of a church, a tree and some clouds. 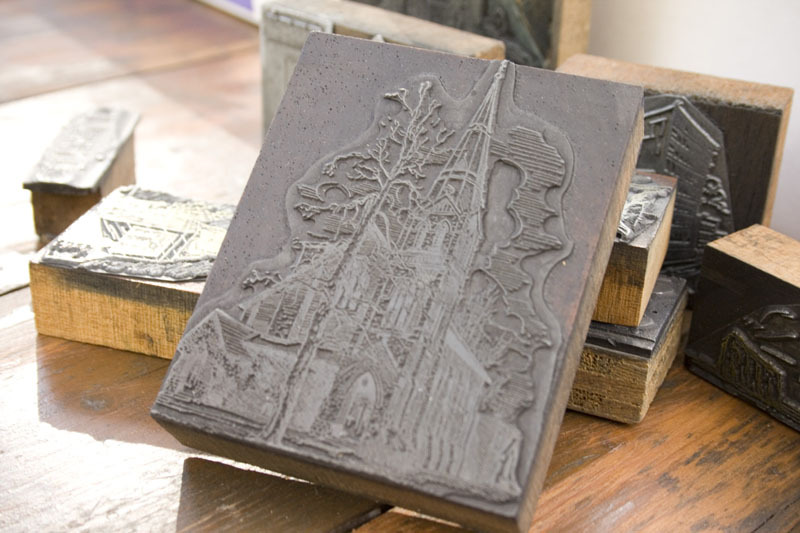 We have two or three engravings of churches and one of them (coming soon) was one of the first things we printed on our press when we reassembled it and brought it back to working order almost 2 years ago. We have some new and exciting things to show you soon, so check back here or follow us on Twitter (@papillonpress) and Facebook. 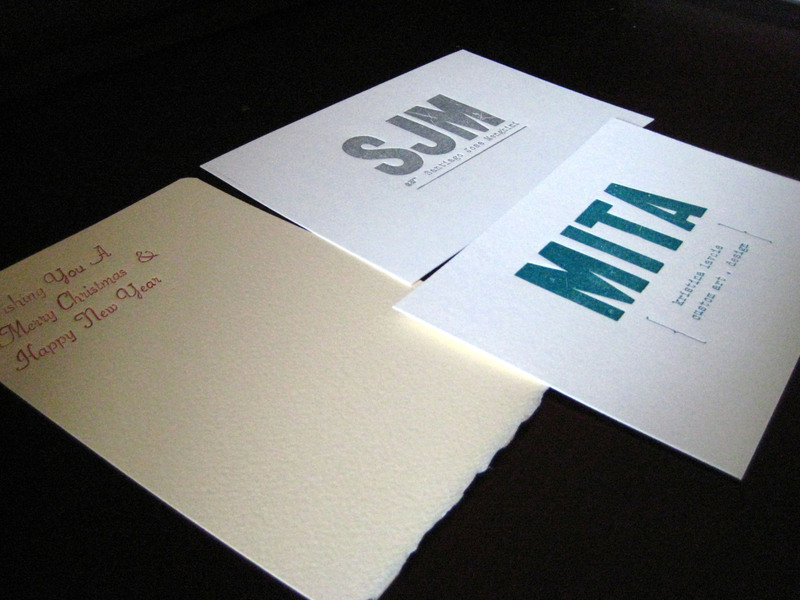 Letterpress workshop coming up – April 2nd! This ain’t your grandma’s scrapbooking workshop! Want to do something different and walk away with a product worth well over $100? Come set some type, choose a few choice cuts, design your own stationery project and run a 70-year-old cast iron beast of a machine! 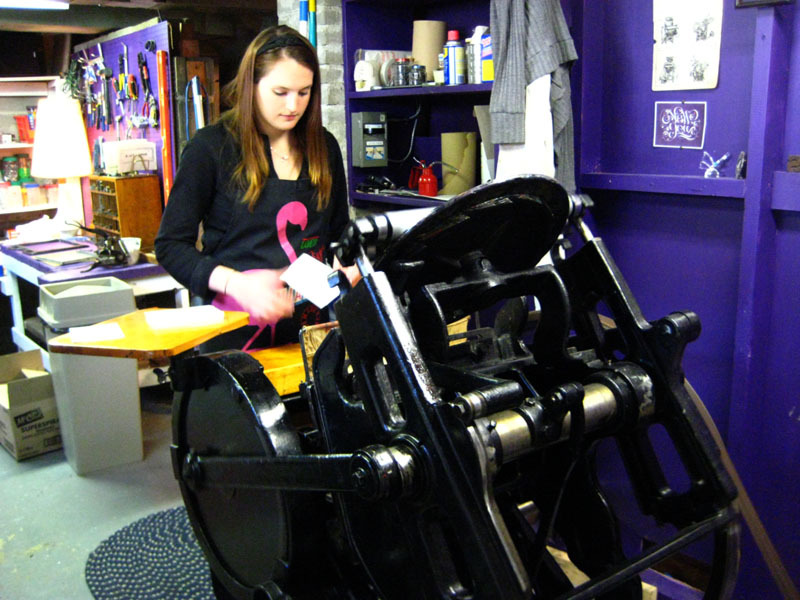 Join our intro to letterpress printing workshop in Sudbury, ON on April 2nd. Two spots are open!! Run Claudette The Letterpress yourself! 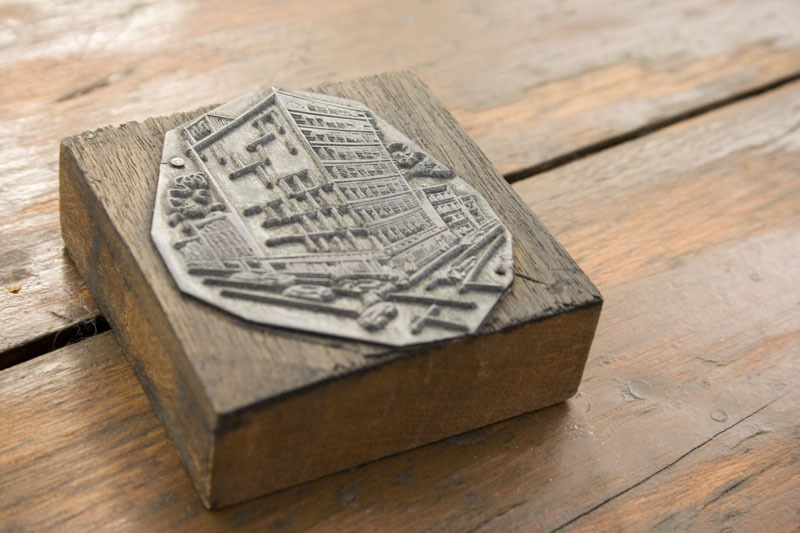 Here’s a cool old cut we found in our collection of a city block with some cars driving by. It’s probably from the late 50s or early 60s, around the time our press was made. 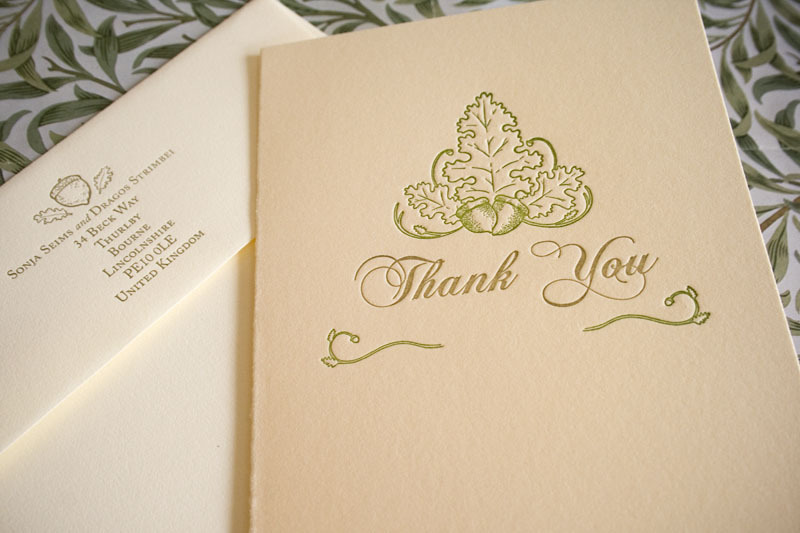 If you’re interested in winning some letterpress stuff (cards, etc..), be sure to follow us on Twitter (@papillonpress) and Facebook. We’re going to start having some giveaways soon, so follow us for chances to win some great stationery. We have a lot of new projects on the go including note cards and recipe cards, in addition to a new batch of social stationery. We’re excited to print those and show them off, so stay tuned! Today marks the 2 year anniversary since Chantal and I moved back to our home and native land of Canada. We were living in a one-bedroom apartment in Williamsburg, Brooklyn before heading back up north. 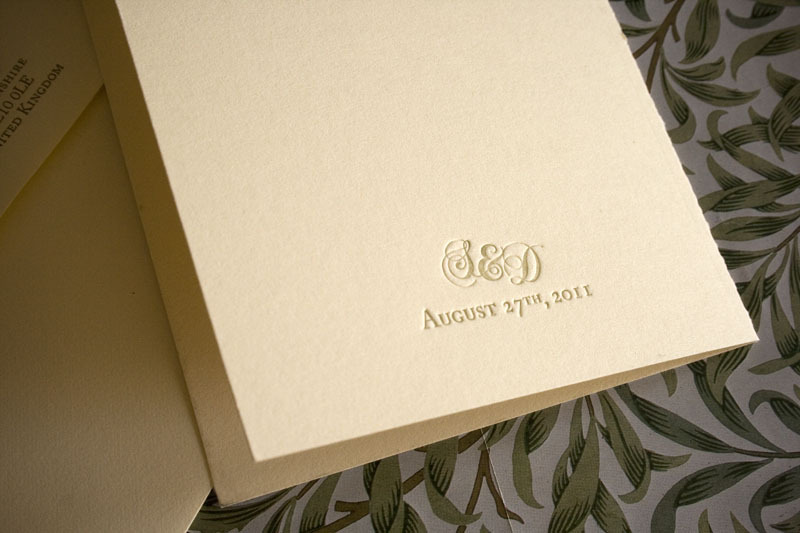 This lovely cut was part of the collection included with our purchase of our press. 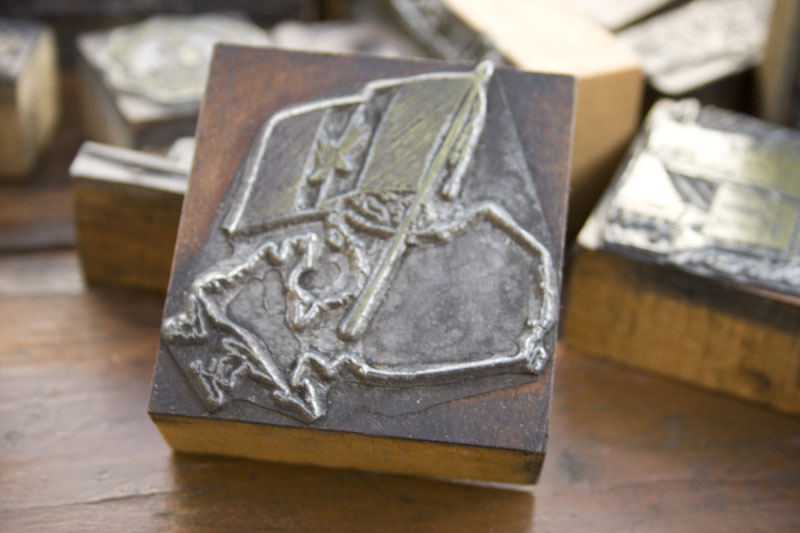 You’ll notice that the image of Canada is backwards – that’s so when we print with this, it will be correct. This would be a nice graphic for a Canada Day party invitation or note cards. Who doesn’t need note cards? In other news, we were interviewed for an article in the Northern Life in Sudbury, Ontario. You can read the article here. Thanks to the Northern Life for the feature!